Love is in the air. Or should I say, love will be in the air. We had a crazy idea last week, one that made us smile, and we hope you agree. Tomorrow (or if you are in Australia, today) is Valentine’s Day and we want to celebrate with you. A little back story: We’re able to collect various snippets of gameplay data, which we use to help us improve the game. Now, we want to use this data for a little mischief, a little fun, and… a little reward. 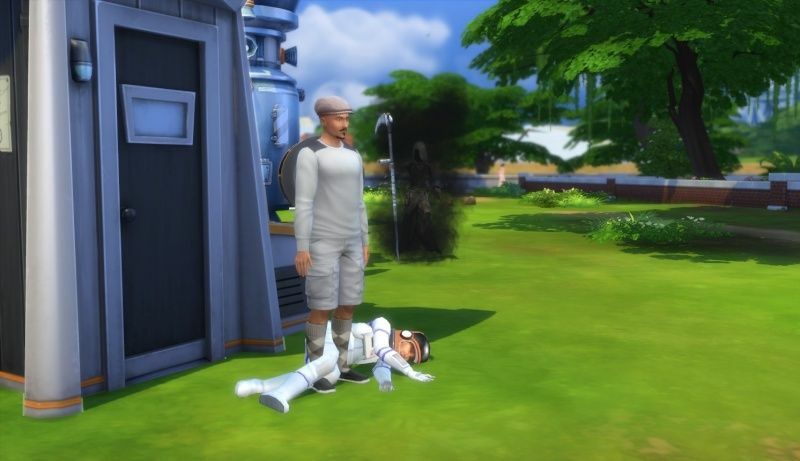 This weekend in The Sims 4 is officially WooHoo Weekend! If you can get your Sims to WooHoo 4 million times over the next two days*, we’ll build you a new gnome. You can see the concept drawing for it below! We’ll release this gnome – for free - in a patch in March (yes, that’s confirmation, we will have a patch in March) which will be available for all owners of The Sims 4**. And, if you manage to reach 5 million, we may throw in some snazzy hair styles as well. It’s not all about WooHoo though. We truly want to see love in The Sims 4 flourish. We want your Sims to kiss, find their soul mate, go on dates, have children, and more. When the event ends, we’ll put all of this data together to share with you so we can all enjoy your accomplishments. I can’t wait! Can your Sims Woohoo 4 Million times, or 5 Million, or more, over the Valentine’s Day weekend? We recommend candles, some great soulful music, and at least two Sims. *WooHoo Weekend starts at 2:00PM PST Friday February 13, 2015, and finishes at 11:59PM PST Sunday February 15, 2015. **When a new base game patch is available, you will be prompted to download the next time you log in. Just click “yes” and any new content will download with the patch. My sims have contributed 1 woohoo so far, but to be fair, I just read this so I'll get to work on it. Last week I was trying to get Cordelia Tengen #ElderWhoWouldNotDie to go meet Grim with a smile on her face. Got her hooked up with a nice neighbor and she was WhooHooing his brains out. Neither became exhausted but they were both Smiling. Too bad it did not count. I played yesterday and had two couples that were romancing the "pants" off each other all day, so I guess it counted. I'll reveal my ignorance.....how the heck do they know how many times? A bit too much WooHoo perhaps? Oh my....what a way to go....or was she just exhausted? I'm sure everysim tried their best.